What's the Verdict on Vaping? The use of e-cigarettes is on the rise with annual sales now totaling over two billion dollars. What do we really know about how these devices affect our health? Many people tout them as smoking cessation success stories, but are they just as harmful as traditional cigarettes? Dr. Laura Crotty Alexander joins our host Dr. David Grant to discuss new research illuminating the potential health risks of vaping. 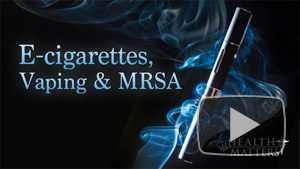 Watch E-Cigarettes, Vaping, and MRSA – Health Matters online now. Explore more programs in the Health Matters series. 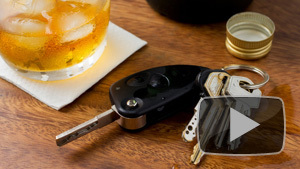 There is no safe combination of drinking and driving – even within the legal limits. A recent study led by UC San Diego sociologist David Phillips found that drivers with a blood alcohol concentration (BAC) of 0.01 percent – well below the U.S. legal limit of 0.08 – are 46 percent more likely to be officially and solely blamed by accident investigators than are the sober drivers with whom they collide. Dr. Phillips discusses the methodology behind these fascinating findings and how even minimally buzzed driving increases your chances of being in a fatal car accident. Learn how buzzed driving is defined and how it impacts everyone on the road. Watch Buzzed Driving – Health Matters online now. Managing a chronic condition can be difficult. Medical appointments can be short and infrequent leaving patients on their own to deal with their health issues. How can you get increased face time with your doctor and get more in-depth information? The answer may lie in shared medical appointments. Small groups of patients and caregivers meet with a doctor together on a regular basis to learn from medical professionals as well as each other. Tune in to Health Matters to hear Dr. Alexander Kuo discuss the ins and outs of these appointments and how they have impacted the lives of his liver disease patients. Dr. Kuo also discusses recent innovations in the treatment of Hepatitis C.
Watch this program and other Health Matters programs online. With the holiday season upon us, health becomes an ever-increasing issue as we battle stress, diet, and our environment. Dr. David Granet of Health Matters welcomes a variety of professionals from the health and medical fields to discuss a broad array of health related topics. Each program in the series provides current and valuable information on how to improve health and well-being. Recent episodes have focused on the negative effects of insufficient sleep, and the importance of urgent and innovative care for stroke patients. The CDC has declared insufficient sleep to be a national health epidemic. Why are we not getting enough and how can we change our behaviors? Sean P.A. Drummond, PhD, director of the Behavioral Sleep Medicine Program and Cognitive Behavioral Interventions Program in the VA San Diego Healthcare System, joins host Dr. Granet to discuss the ramifications of insufficient sleep and ways to improve your sleep health. Every 45 seconds, someone in the U.S. has a stroke. What are the warning signs and how do you know if you are at risk? In the most recent episode of the series, Innovations in the Treatment of Stroke, Dr. Alexander Khalessi, Director of Endovascular Neurosurgery and Surgical Director of Neurocritical Care, gives insight on how to recognize a stroke, preventative measures, and innovative surgical treatment options. For more programs regarding health, visit the Health Matters series page.